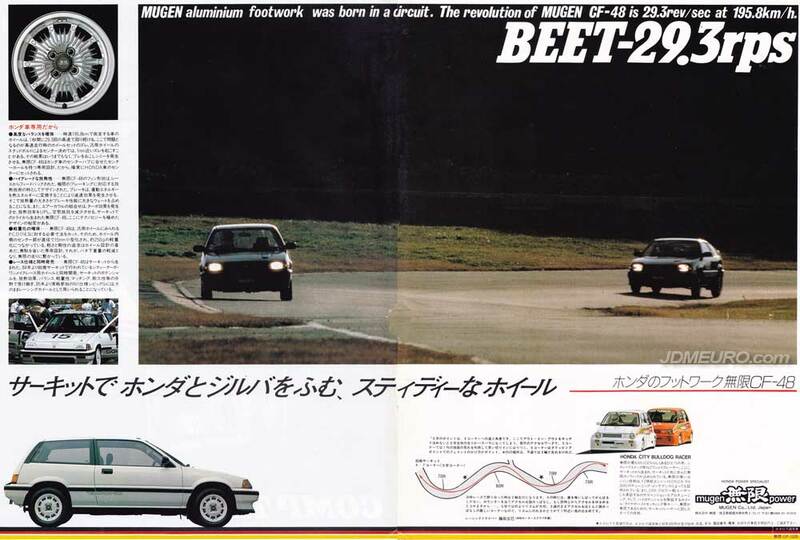 The Mugen Power CF-48 are JDM Wheels made specially for 80’s era EA Honda Civic. The Mugen Power CF-48 feature a aeuro design said to resemble a clutch. The The Mugen Power CF-48 were only available in 13″ and 14″ diameters and in 4×100 pcd. Pictured are the Mugen Power CF-48 on an EA Honda Civic.